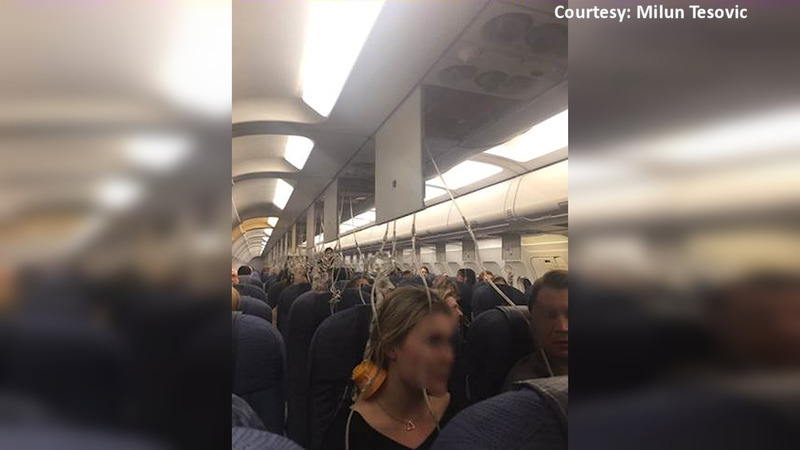 NEWARK, New Jersey (WABC) -- An Air Canada flight from Newark to Vancouver was diverted to Toronto after experiencing a pressurization issue. AC 549 went from 32,000 feet to 10,000 in a span of five minutes over Northeastern Pennsylvania. It landed in Toronto without incident. AC549 landed normally YYZ w/o incident due to pressurization problem w/ AC unit. Arrangements made for customers to continue to YVR asap.